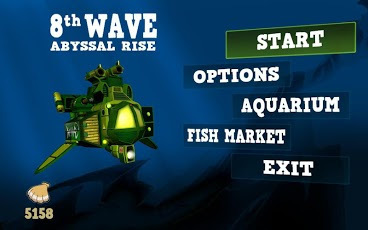 Balancing simple controls with addictive game-play makes 8th Wave an enjoyable side scrolling experience to even the most novice of underwater adventurers. 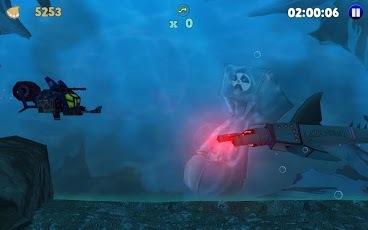 Control your submarines lift using the left side of the touchscreen, while blasting your enemies away with the right side as you explore the dangerous deep abyss. Whether you prefer to navigate nimbly through the onslaught of enemies or plow your way through using brute force, 8th wave offers 4 playable heroes, each with its own distinct characteristics. 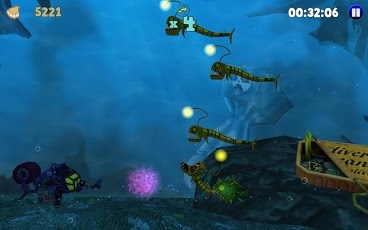 With each dive comes new enemies, upgrades, challenges and if you’re "unlucky" you may encounter one of the majestic foes. Dive into the 8th Wave! Once known to be a calm species, the fish of the abyss have mysteriously transformed into robotic eating machines. 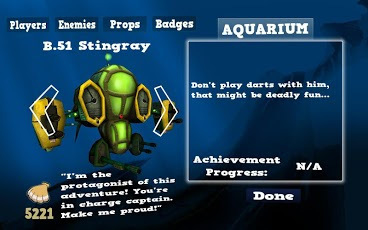 An aquatic adventure awaits you, young captain. Will you be brave enough to explore the abyss?